Practice the questions given in the worksheet on multiplication table of 13. The questions are based on finding the product using the multiplication table of 13. 1. Count forward by 13’s from 13 to 260. 2. Count backwards by 13’s from 260 to 13. 4. Find each product using above multiplication table of 13. 5. An insect has 6 legs. How many legs do 13 insects have? 6. You go to school 5 days each week. How many days do you go to school in 13 weeks? 9. (i) What are 13 sixes? (v) What are 9 times 13? 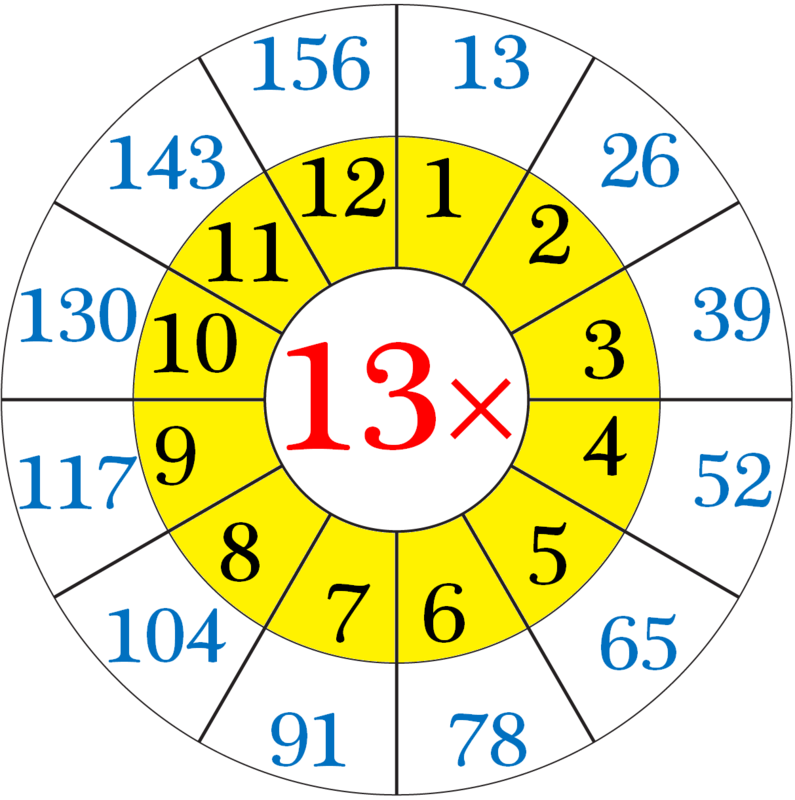 (ix) What is 13 multiplied by 12? (x) 8 multiplied by 13? 10. What does 13 × 5 mean? What number is it equal to? 11. Some families are going on a picnic. If 13 people ride in each car and there are 6 cars, then how many people are going on a picnic? 12. Rex bought 7 boxes of pencils and paid 13 dollars for each box. How much did Rex spend for all boxes? 13. (i) How many thirteens in 52? (ii) How many thirteens in 117? (iii) How many thirteens in 143? Answers for the worksheet on multiplication table of 13 are given below to check the answers of the above multiplications. 1. 13, 26, 39, 52, 65, 78, 91, 104, 117, 130, 143, 156, 169, 182, 195, 208, 221, 234, 247, 260. 2. 260, 247, 234, 221, 208, 195, 182, 169, 156, 143, 130, 117, 104, 91, 78, 65, 52, 39, 26, 13. 10. 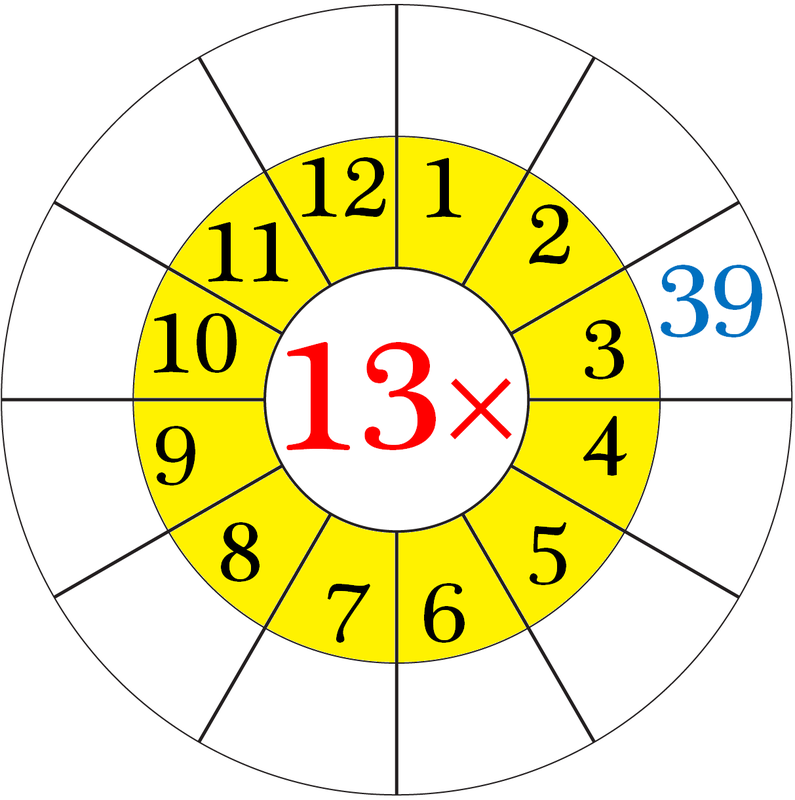 13 × 5 means that the 13 and the 5 are multiplied together or ‘thirteen fives’ or ‘thirteen times five’.